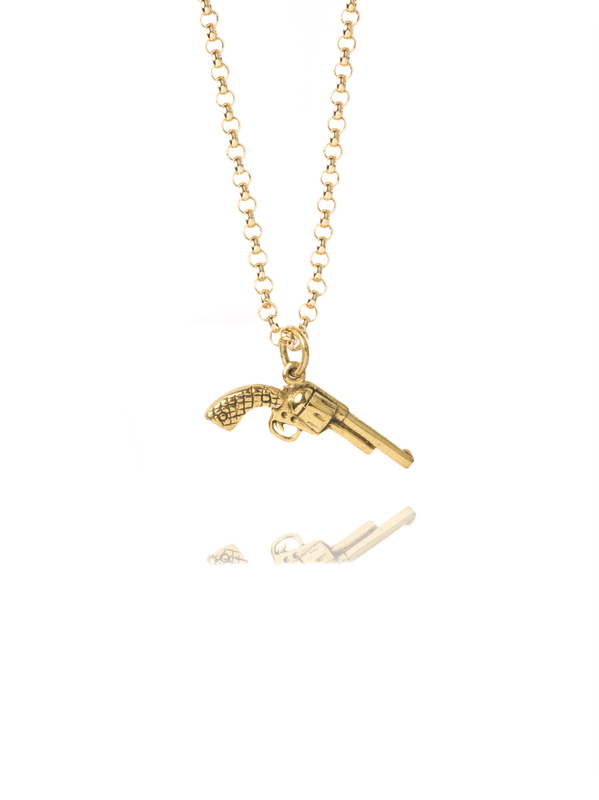 Play the role of the urban rock chick – whether you’re a rockstar, groupie or girl next door, with this awesome little gun necklace! The gun measures 2.5cm in width and 1.5cm in length (including the jump ring) and hangs on a 50cm gold belcher chain. The chain is made from solid sterling silver and has had a 23.5KT gold coating applied which is very secure and does not rub off.